Sarah Brom-Criscola is a Marketing Manager at Appriss Health. Having been a HubSpot customer for over 6 years, she has a passion for inbound marketing and sharing her experience with the HubSpot platform with other users. She earned her Bachelor's Degree in Marketing from Eastern Kentucky University and MBA from Bellarmine University. The Louisville HubSpot User Group (HUG) is designed to help HubSpot users become as successful as possible with HubSpot software and methodology. We aim to educate and inspire attendees to grow better, through content and hands-on product workshops. 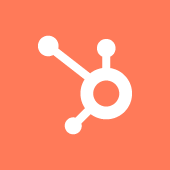 Meetings are casual, free to attend and open to HubSpot and non-HubSpot users. Today, there are HUGs in over 100 cities around the world. Why not join us! I am excited to announce our guest speaker for the December meetup will be Jenna Ahern, President + Owner of Guardian Owl Digital Boutique. Jenna will be talking about all things SEO. Lunch will be provided.